Does your cardboard brush cover get swept away to the trash? Blown away by the wind? Does it simply wear down to a useless piece of tattered cardboard? Are you wasting valuable time trying to wrap it in foil or plastic wrap? Our hard plastic protective cover was designed to end all of those problems. When you want to neatly protect your most valuable brushes, safely store them in The BRUSH VEST! Quick and easy protection for your brushes! If you can’t find them at your local hardware or home improvement store, tell them about us. Or simply place the order with the appropriate partner below. Retailer & Distributor pricing is also available! Contact Pro Painting Products by phone at (866) 446-4362 or e-mail info@propaintingproducts.com or visit their website at propaintingproducts.com for more information. Contact MyPaintbrush by phone at 07825 582655 or e-mail mypaintbrush12@gmail.com or visit their website at www.mypaintbrush.co.uk for more information. 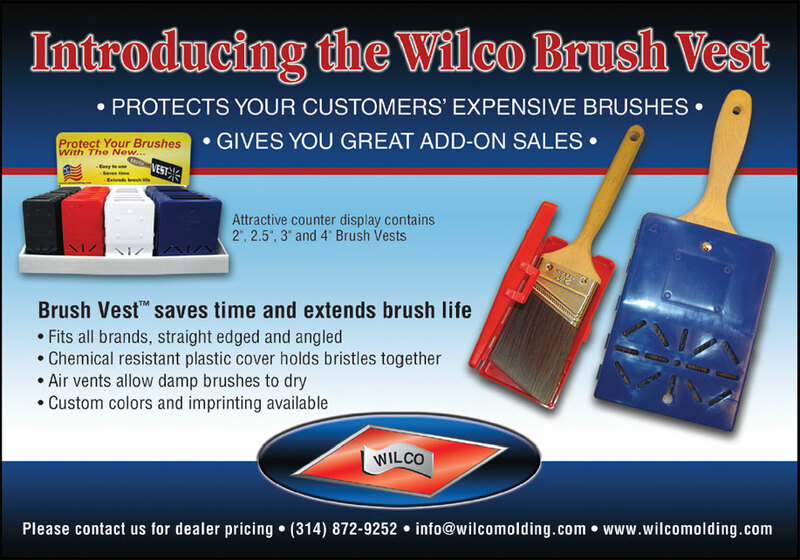 You also have the option of placing a quick and easy order by the dozen by going to www.toolschest.com and searching “Wilco” or “Brush Vest” or simply click on one of the 4 sizes below.